...with mindfulness a person always prospers, there seems nothing else so true. 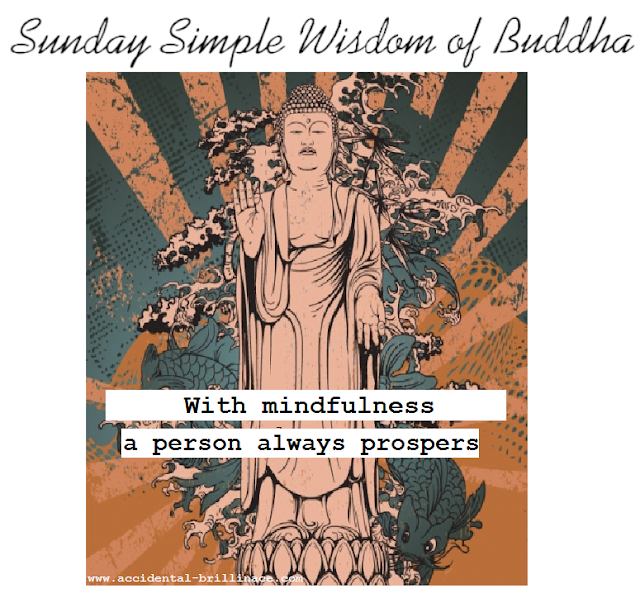 Being mindful might perhaps be the most important thing we can be...mindful of what we say, what we do, how we treat each other and most of all how we treat ourselves. I wonder what the world would look like if we all practiced being just a bit more mindful. I suppose it might be a sweeter, a simpler place to exist, the sort of place where indeed we would all prosper in ways we might not even imagine. So be MINDFUL at every turn and with every step, who knows what might happen, it's worth a try that's for sure.